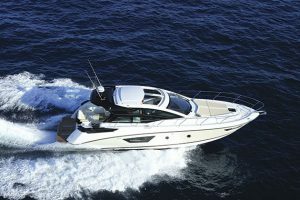 If you are looking for a sportscruiser loaded with versatility then the Bénéteau Gran Turimso 46 delivers in spades. 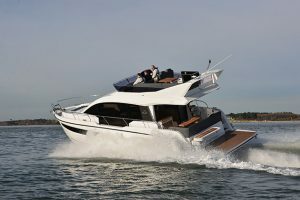 Whichever configuration you opt for, the GT46 has a fantastic cockpit centred around a huge table and fringed with comfortable seating. 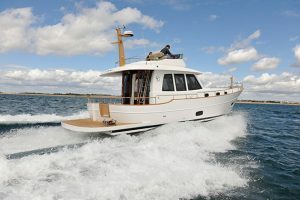 The two aft most seating pods pivot to either arrange around the table or sit flush against the wheelhouse to deliver more outside seating. 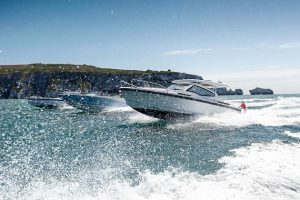 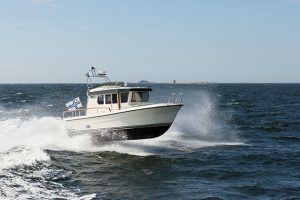 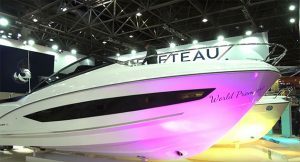 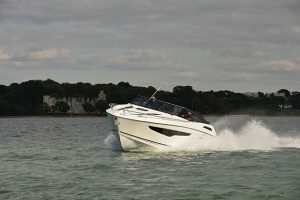 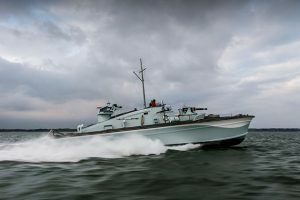 The GT46 uses a second generation of Bénéteau’s air-step hull, which is designed to send a cushion of air beneath the hull and decrease planing time. 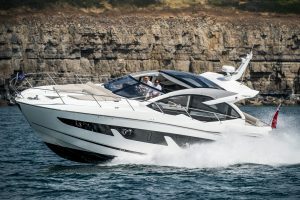 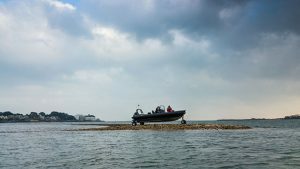 In practice it’s hard to tell how the system works without being able to turn it off but the GT46 is a smooth performer with a hull that can take the chop well. 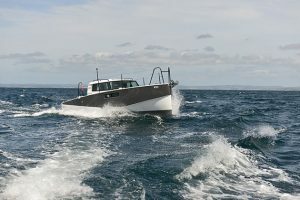 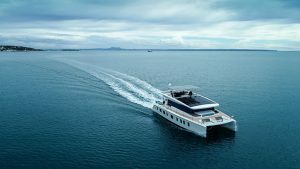 The French yard has clearly worked hard to up the perceived quality on board, with smarter materials in place on the dash and throughout the stylish interior. 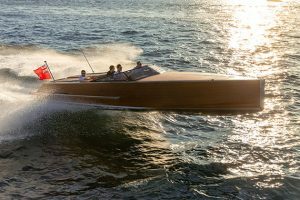 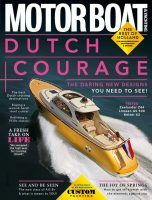 Speaking of style, design by superyacht designers Nuvolar Lenard has done no harm to the GT46’s looks, which are fresh and striking. 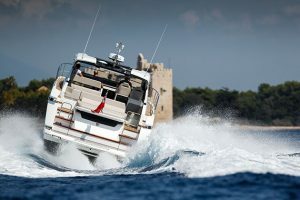 On test in Mallorca, with the smallest Volvo Penta D6 370s on sterndrives, we reached a top speed of 32 knots, if you want more performance then the twin 435hp IPS600 units are going to be the best option. 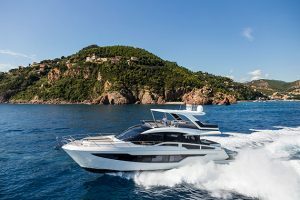 You can read the full report on the Bénéteau Gran Turimso 46 in the November 2016 issue of MBY.